We have added PlayerUnknown's Battlegrounds review which contains info. about its gameplay, PC requirements, trailers, walkthroughs & you can find more info. in this post so keep scrolling till the end. The game allows up to 100 players parachute into an island & hunt for arsenals & gears to kill each other. The available safe region of the game’s world reduces in size as match progresses, letting players to fight in a small area & forcing encounters. The last man or squad standing wins the round. PlayerUnknown’s Battlegrounds is a multiplayer battle royale shooter video game developed & published by Bluehole. PlayerUnknown’s Battlegrounds was released for PC on 20 December, 2017, for Android & iOS on 9 February, 2018. 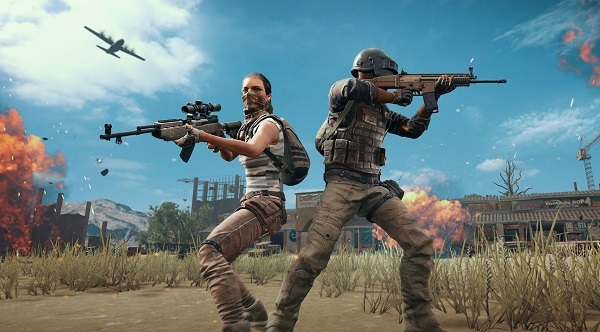 PUBG was officially released on Xbox One on 4 September, 2018 & it was launched on PS4 on 7 December, 2018. 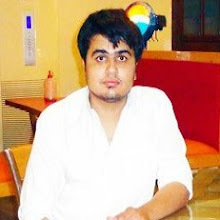 The idea of last person standing made PUBG one of the most successful PC game but this idea was not invented by PUBG. During the period of 9-month early access it turned this idea into something creative. 100 players jump out & using parachute they land onto a location. They don’t carry any weapons so they have to find them first & battle within a shrinking force-field. Only one player is victorious who survives till the end after killing the remaining players. There is an addition of Sanhok to the Xbox One version of PUBG. This is the first time Xbox users have access to Sanhok. Another feature is the addition of War Mode for the Xbox One fans, which is a favorite mode also available for PC. The mode combines the classic battle royale of the game with team deathmatch mechanics, such as respawning. It maintains the looting & survival features you can expect from PlayerUnknown’s Battlegrounds. You can buy the last feature which is the in-game currency that can be used to unlock cosmetics. The event pass: Sanhok also contains several cosmetics to celebrate the debut of the new map which is available on Xbox One. 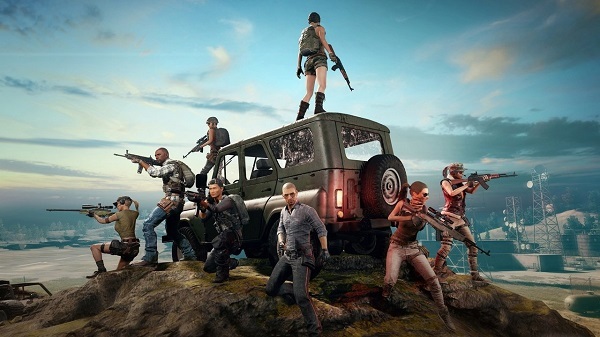 PUBG has entered its 1.0 phase which does not mean that the game will no longer receive updates. In fact, the developers announced that they will further enhance PUBG & deliver new content to its fans. 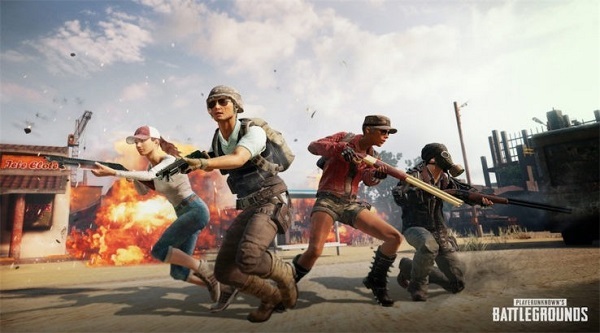 PlayerUnknown’s Battlegrounds is an action video game in which you are among hundred players in a knockout tournament & the player who is dead is out of the round. Players can play solo or as a squad of up to four people. Each match begins with players parachuting from an aeroplane onto a map region. The plane flight path is different in each round, letting players to quickly decide the best time to jump out. Initially players have no weapons & once they land, they can find out arsenals hidden in buildings & other locations. Also the game allows players to ride a vehicle, pick armor, outfits & other gear. These items are procedurally distributed throughout the map at the beginning of the round & high alert zones offer better gears. The players that are shot dead can be looted to get their gear too. Players are allowed to play from first person or third person perspective, each having its own benefits & consequences in battle & situational awareness; though several settings can be utilized to force all players into one perspective to eliminate some benefits. The force-field starts to shrink down after few minutes of gameplay towards a random location with any player who remain outside the safe zone can be disqualified if the player does not enter the safe zone in specified time. During gameplay you can see the boundary as a shimmering blue wall that shrinks over time. This reduces the freedom of players as in the beginning, they have a bigger map to explore but now after reduced space there are more encounters. During the gameplay, the random regions of the map are highlighted in red & bombed, posing a danger to players that remain in that area. The players are warned before such events happen, allowing them to find a place in the safe zone where they can protect themselves from enemy fire. There are also loot packages for players that are dropped from the plane in different regions of the map, containing items which players cannot obtain during normal gameplay. This is another sign of danger as these items emit visible red smoke, drawing the attention of players near it & creating more confrontations. The complete round is completed in 30 minutes on average. At the end of each round, players get currency that depends upon how long they survived, how many enemies they had killed & how much damage they dealt to rest of the opponents. The currency can be used to buy crates which contain cosmetic items for player customization. PUBG begins with a hard decision of where to land. You can be shot dead if you choose to land in the center of arena where others will most probably land too. You need to find out a specific location on map where you can land while avoiding fight because you have to find weapons before you can actually battle. Everybody will be busy to find out weapons & gears, & the killing begins soon after the landing. Items are partially distributed at random places & finding the locations on the map that are likely to spawn military grade weapons & attachments is the best plan. You can play individually, or in a team of up to 4 players. You may not find the best weapon early but unlike other games like Dayz where you could travel long without any gun, there are powerful weapons you can find no matter where you land. You can use backpacks for carrying items. You can pick up helmets & police vents to protect yourself against enemies’ shots. You can also pick up medical supplies & melee weapons & a combination of firearms. The game provides a reliable & streamlined space for players to battle while also offering a higher level of unpredictability. Someone with a pistol may take down another person carrying an assault rifle because best gear is only half the battle & the other half is wit. As gamers outsmart each other in deadly battle, those who don’t want to contribute will be forced to come closer to other players within the confines of a shrinking force field until only one player or team survives. If you die, then jumping into a new game is simple & quick. If you survive till the end, you will be victorious. The deadly, moving field that includes the arena & random airstrikes marked with red on the map add a consistent sense of purpose that pushes you toward battle. You can drive vehicle to reach the destination quickly but on the way there can be explosive encounters. The 2 large maps are not looking the best environments in gaming but they offer more variety on the battlefield. Both maps Erangel & Miramar have their own advantages. You can get lots of cover from the abundance of trees in Erangel even if you are in a team of 4 players while some regions of Miramar are more secluded than even the most isolated areas in Erangel. Both maps feature diversity of elevations & more exciting city layouts. You can find plenty of loot in both maps & you won’t find searching for a weapon a frustrating task. When you go with a team then you have the potential for pulling off exciting traps & vehicular assaults & it is a better approach because you can revive a teammate who’s knocked down but not dead yet. It is better to use stealth while playing individually because you can alert the nearby enemies whenever you fire & they may come after you. When you play in first person only servers then it also brings a new, challenging dimension to matches by eliminating the corner-peaking benefits offered by the third person camera. You can use a couple of handy hotkeys to cycle weapons, change b/w first or third person view, toggle auto or burst fire for your weapon, & adjust zeroing distance are what you must know. You can loot dead bodies & swap items with your team members quickly in PUBG. You can access your inventory & map quickly while moving. It is an action combat shooter game that pits hundred players against each other in a fight for survival. Collect supplies and beat your rivals. Be the last man standing to win. Make sure your PC meets PlayerUnknown's Battlegrounds minimum requirements if you want to run the game. Watch PUBG official gameplay trailer uploaded at E3 2018. We have added PUBG official gameplay trailer in HD. Watch PUBG gameplay / trailer. You can view PlayerUnknown's Battleground gameplay in this 6 minute video. PlayerUnknown's Battlegrounds gameplay walkthrough Part 1 in HD. A highly competitive game where you can't last for long. Survival is utmost important.